This is the penultimate post of our five-week roundtable on science fiction and imperial history, co-edited by Marc-William Palen and Rachel Herrmann. You can read our call for posts here, and the other posts in the series here, here, here, here, here, here, and here. We look forward to hearing your thoughts! 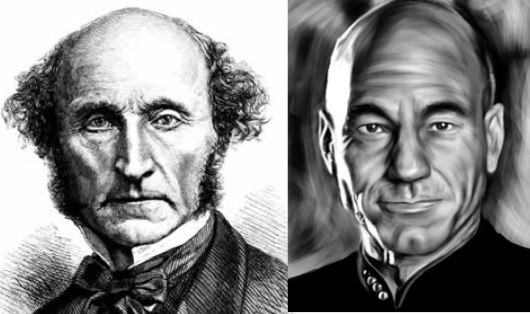 Although Star Trek‘s Federation may share some similar Victorian-era ideas about imperial power structures and civilizational stages, by contrast it has strict rules about not attempting to “civilize” or colonize “backward” societies. It is enshrined in their Prime Directive, which was first introduced in the Original Series (1966-69) as a none-too-subtle anti-imperial rebuke of the US war in Vietnam.